I have been listening to Muse ever since the release of Origin of Symmetry, however, Absolution was the first Muse album I fully listened to and also the album that got me Hooked up on their music. This is my first review of the album, I have listened to it countless times. 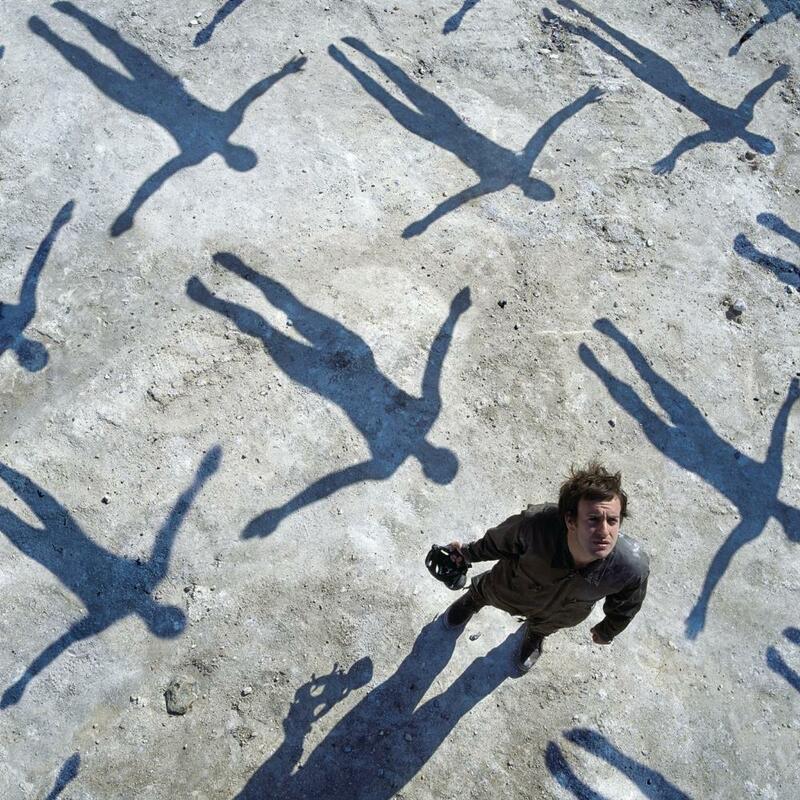 Absolution for many is Muse's breakthrough album, featuring a concept-like feeling with innovative themes revolving around the end of the world, politics and love. The album is distributed in 11 songs with 2 interludes, the Japanese version features the bonus track Fury and the album featured various singles which featured music videos. 1.Intro The first track of Absolution is a segment of marching steps, increasing dynamically as if an army was increasing in number and getting nearer to the listener. There is a small voice segment, similar to Hitler's voice, yelling the infamous Hail speech. The track is the intro to the theme of the whole album and prepares the listener for the upcoming tracks. 2. Apocalypse Please The marching is covered by drums, the music increases progressively into forming an atmosphere, this is well done by the chords Matt Bellamy uses along with the rhythm of Dominic's drum tempo. The lyrics are rather mellow, and they go from low registers to increasingly falsetto cries. Matt Bellamy's theme in the lyrics is The end of the world! this is it! The lyrics depict politicians betrayal to society and involves religious and social themes. This song is very well remarked for the guitar/bass interludes between verses. The bass is distorted and uses technical progressions to create an electric effect. The song slows down near the end a bit, with intense piano chords. a 5 out of 5. 4.Sing for Absolution Probably one of the most underrated Muse songs of all time, this is a masterpiece in experimental piano music. Let's start with the theme: Love. This is a love song in all regards, a very gloomy song by the way, Bellamy uses a the full power of his mellow-tone voice to express the feelings of the character. This is all well supported by the Piano and bass chords, that progress into the song, forming a type of Progressive ballad. However, the percussion used here is very simple, the rhythms don't change much. The most amazing thing of this song is the value of the 3-front band, there are so many effects on bass, piano and guitar that is kind of hard to believe only 3 people play this song; Bellamy changes from piano to guitar between verse and bridges, and uses a bunch of space-like effects on the solo. a 5/5. 9. Butterflies and Hurricanes Behold, this is a progressive-classical masterpiece by Muse. First, the theme: War, determination, confidence and the end of the world. Second: Bellamy's lyrics, they are simply incredible, full of dynamic changes that build-up and break down. Third: The musical value of this number, from the back-up vocals to the string quintet used, the song simply uses the full value of the instrumentation which includes: A violin, viola, bass, piano, chello, guita, and synths. Fourth: The Piano solo..........simply AMAZING! listening to it, once can hear Bellamy's classical influences, a fully beautiful fast classical solo with string accompaniment. IT is a MUST for any pianist. And finally, well, the song is simply a work of art which makes it my pick as best song of the album. 11. Endlessly Back to the mellow-side of music. An awkward percussion intro starts this Piano melody. The sons is an experimental prog tune which incorporates Synthesized Piano with a handful of effects. If you listen closely you can pick out the various effects the song uses. Chris Wolstenholme plays the maracas in the first couple of bars of the song then changes to bass in the final minute. A String quintet also provides some nice chords. The theme is very depressive however, it relates to the lost of someone loved. Overall a nice tune with many experimental techniques. 12. Thoughts of A Dying Atheist The song can be characterized by its nice use of Prog-related chords. The theme and concept is that of the fear of death, the story revolves as our character faces the end of his life; where he feels uncertain of his future. A nice tune that provides an arrangement of Vocals, Rhythms, Bass and Guitars. 13. Ruled By Secrecy Based on a book by Jim Maars ( A Book based on conspiracy theories) Ruled By Secrecy is a piano tune filled with the well-known minor chords of Bellamy. A very slow song, but with a very nice piano part....where Bellamy shines as a piano virtuoso, worth listening to the very powerful small Piano solo that features some chord progressions. Overall the album is very well made, If there is one Essential album to pick from Muse's collection, Absolution is a must. A Very nice mix of experimental-progressive rock, each song has somehthing in common yet differs in many ways. The theme is the key, I do believe this is a concept album in its own, the way the album flows is phonomenal. Truly a work of art! If you have not listened to Muse yet, get yourself a copy of Absolution or tell a friend to burn one for you is a nice way to start in Muse's discography.